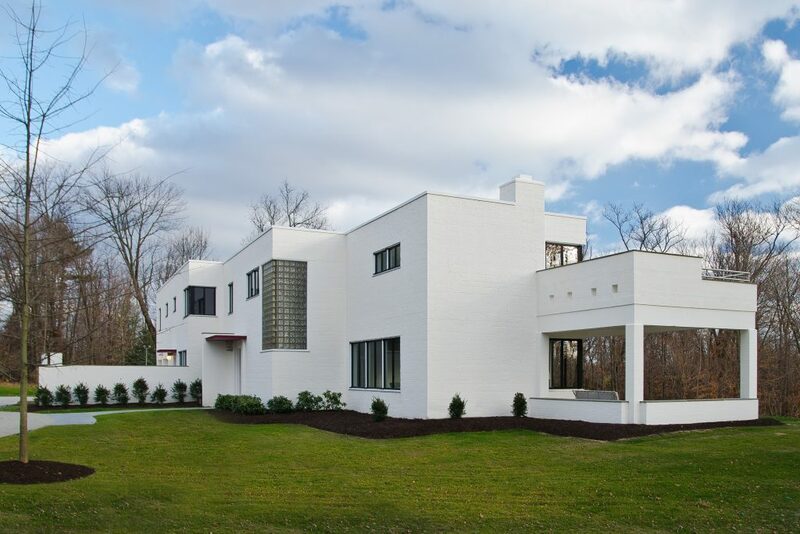 The Rauh House, built in 1938 by prominent insurance agent Frederick Rauh, is one of the first International Style modernist homes in the Cincinnati area. 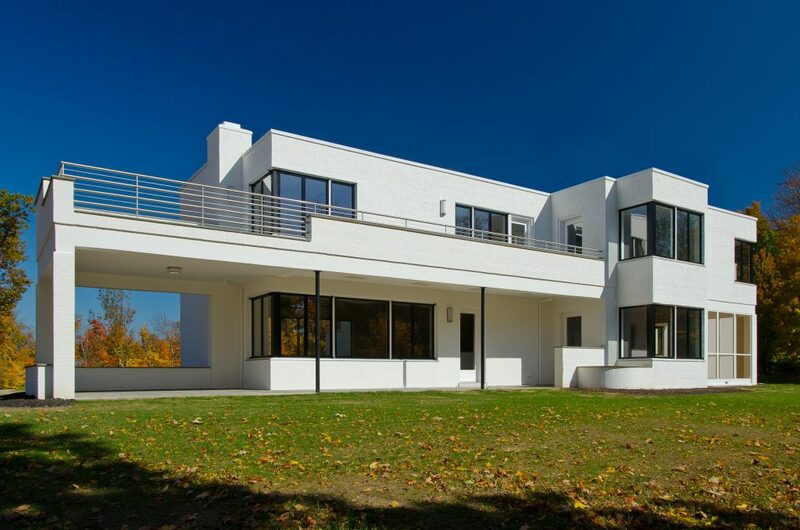 It is the crowning residential achievement of architect John Becker, a local pioneer in modern architecture. 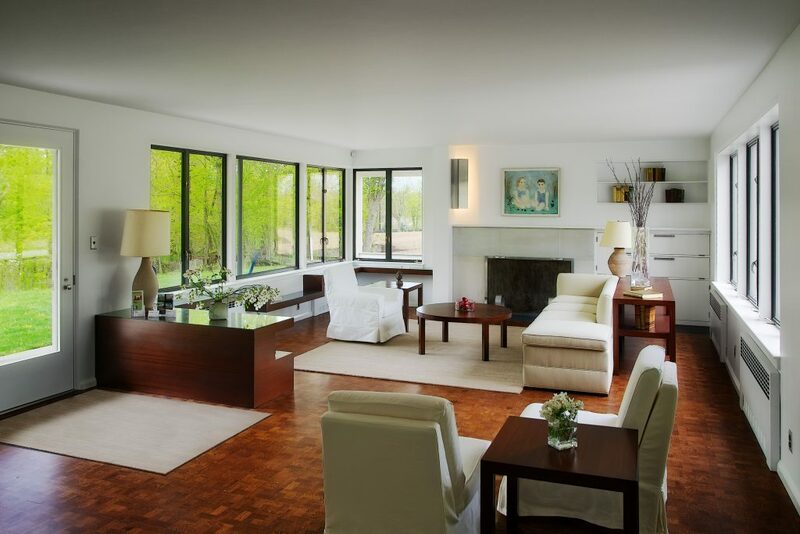 The house, which features a long balcony and shaded terrace, tubular steel railings, large windows with minimized corners, and whitewashed cinder block walls, sits on nearly nine acres of gently rolling, wooded land at the western edge of the Village of Woodlawn. In 2005, the house was sold to a developer who planned to demolish it and subdivide the property. A new cul-de-sac and retention ponds were built, destroying much of the existing landscaping, and the house was stripped and left exposed to the elements. Frederick Rauh’s daughter, who grew up in the house, bought it after the development failed. 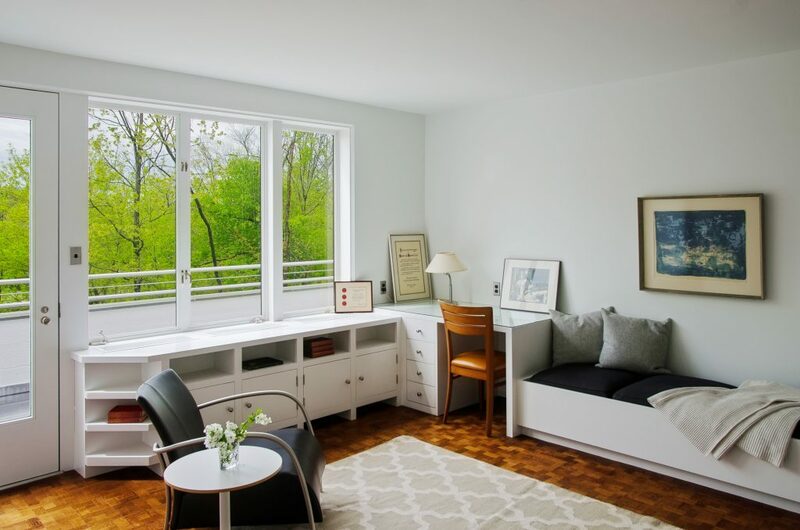 With the help of Luminaut and the Cincinnati Preservation Association, the house and grounds have been restored to their original state, but with modern mechanical systems and insulation, and custom steel windows to match the originals. 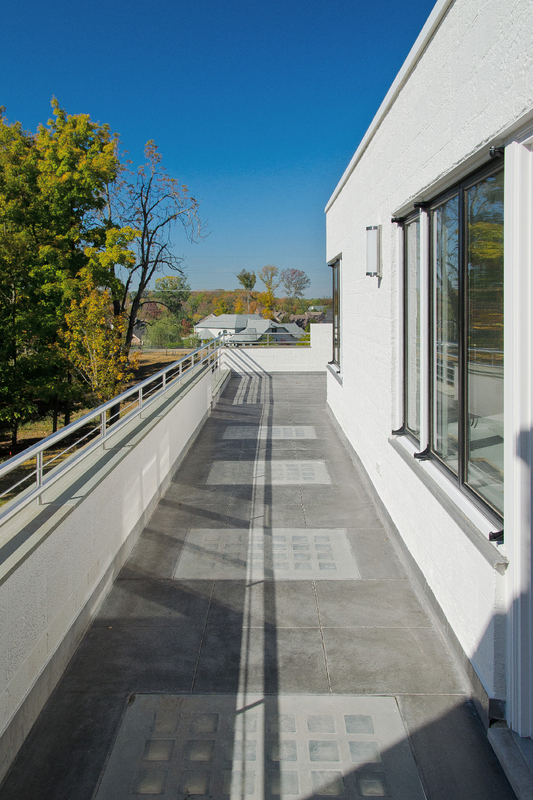 Completed in 2012, the restored house, along with Luminaut, received a merit award from the Ohio Historic Preservation Office of the Ohio Historical Society. 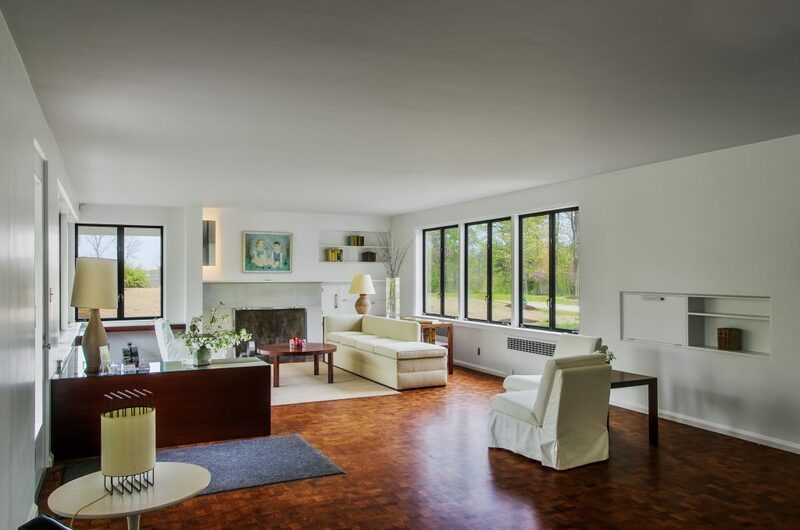 The residence was also awarded with the 2016 Docomomo US Award of Excellence.